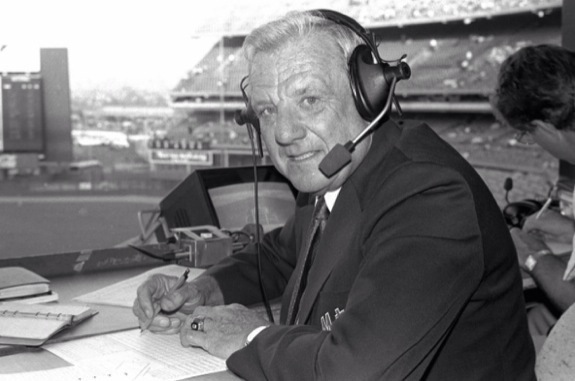 The New York Mets today announced the club will celebrate the life and legacy of legendary broadcaster Ralph Kiner during an on-field, pre-game ceremony on Opening Day at Citi Field Monday, March 31 prior to the game versus the National League East rival Washington Nationals at 1:10 p.m. The ceremony will include a video tribute and the unveiling of the Kiner commemorative logo above the leftfield wall. Kiner’s children Michael, K.C., Tracee and Kimberlee, will attend and participate in the ceremony. The Kiner logo will also be painted on the grass behind home plate. · New York City Mayor Bill de Blasio will throw out the ceremonial first pitch. He will be accompanied by six children from the East Harlem Tutorial Program who were affected by the recent building collapse in that community. Founded in 1958, the program runs public charter schools and after school programs serving children in East Harlem. · The National Anthem will be performed by the Whiptones, a doo-wop a cappella group from Hanover Township, New Jersey, who were the Mets Anthem Search winners in the off-season. · The annual Mets Welcome Home Dinner will take place after the game. The event is a fundraiser for the Mets Foundation, which donates net proceeds to the the Katz Institute for Women’s Health and Katz Women’s Hospital of the North Shore-LIJ Health System, and the Leukemia & Lymphoma Society. General Manager Sandy Alderson, Manager Terry Collins and the entire Mets roster and coaching staff will be attending. Standing Room Only tickets are still available for Opening Day and can be purchased at Mets.com/Tickets or by calling (718) 507-TIXX. The Mets encourage fans to take mass transit to Opening Day at Citi Field. Parking is limited as Cirque du Soleil’s Amaluna‎ is currently in production in the Citi Field parking lots. There will be no performance on Opening Day to accommodate as many fans as possible. The 7 Subway is the fast, convenient, and “green” way to travel to the game. The Mets-Willets Point stop is adjacent to the Jackie Robinson Rotunda. The Long Island Rail Road’s Port Washington Branch from Penn Station or Woodside has half-hourly service, and the ride from Manhattan is 16 minutes. For those coming from the northern suburbs, all Metro-North trains on the Hudson, Harlem and New Haven lines connect with the 7 Subway. For more details visit http://www.mta.info and click on “Take the Train to the Game”™ or you also can call New York City Transit at (718) 330-1234, Long Island Rail Road at (718) 217-LIRR (NYC), (516) 822-LIRR (Nassau), (631) 231-LIRR (Suffolk) or Metro-North at 800-METRO-INFO. Next Post Everybody Loves Raymond: Meet The Mets/War!! !